SWITCHBEAT is a dynamic group of musicians committed to providing the best in live music. Their diverse repertoire includes pop, r&b, dance, retro, disco, funk, rock, and much more. Passionate, talented, energetic and professional, SWITCHBEAT promises to be a memorable addition to your wedding, corporate event, charity gala, or private function. My wife and I hired Switchbeat for our wedding this summer, and couldn’t have made a better decision! Keeping guests entertained and dancing all night was a concern for us, and we weren’t sure if a traditional DJ would cut it. (If you’re planning a wedding, you understand what I mean.) High energy, amazing vocals (from Three different members), tight instrumentally, and engaging to the crowd. Very professional and accommodating, these guys do it all, the way You want it. This is what they do! Best part is, they play all over the GTA doing public shows, so it’s easy to check them out wherever you live. Like I said earlier, stop looking around, you don’t need a DJ. Switchbeat is exactly what you and your guests deserve! Call Jay, he’ll take care of it! Terrific band and amazing experience. We had the privilege of having Jay and the band for our wedding day. They brought so much energy to the stage and kept our guests on the dance floor the entire night. Months later and our guests are still bringing up how much fun our wedding was, specifically Switchbeat. SWITCHBEAT did an amazing job at our wedding!! They knocked it out of the park! SO many of the guests commented on how fun the dance party was and how great the band was. Guests, young & old, stayed till the very end dancing up a storm! Can't thank them enough for being such a great addition to our wedding! Professional and easy to book. Very clear requirements and contract. Outstanding performance. High energy, excellent interaction, they really played for the crowd. Wide range of song genres and SwitchBeat added/learned requested songs. Couldn't be happier. Switchbeat is the best wedding band! Switchbeat is an amazing band! They played my wedding and all of guests keep complimenting me on the music. Everyone was dancing the whole night. Jay was a pleasure to work with. Switchbeat learnt a hora and mezinka for my wedding and my guests danced the night away! All of the musicians in the band are extremely talented. They are true professionals; the power briefly went out at my wedding and Switchbeat did not sweat it while the power was being restored. I would highly recommend Switchbeat to anybody who is looking for a wedding band! Robert and I got married on December 17th 2016. Switchbeat performed and they went above and beyond our expectations for our special day. They were very professional, friendly and accommodating (they even helped fix a last minute décor problem at our hall!). They brought so much energy and got all our guests involved. Since the wedding, everyone has told us how much they loved the band and how much fun they had. We couldn’t be happier with our choice to have Switchbeat perform for our wedding! Couldn't imagine our wedding without SWITCHBEAT! Jay and his band were fantastic at our wedding. They were very knowledgeable, got people dancing, quite accommodating and very entertaining. The music was great. There is no higher praise than to say we would hire them again if we were to plan another big party. Hey good band just mixed monitors for the band at a Grey Cup gig. Good people very nice and professional extremely versitil when it comes to music this band has a little something for everyone so on behalf of my 30 years touring with almost every band on the planet they do what they do and they do it well until we meet again Switch Beat until than GOD SPEED. We had Switchbeat at our wedding in Muskoka this summer, and they were absolutely FANTASTIC!!! They can do any type of music, from Adele to the Rolling Stones, and they sound absolutely fantastic. We had the best night ever, and danced the night away. Better than their amazing sound and showmanship, they are truly amazing people. Nice and friendly, and very easy to work with. We truly had the best time, and highly recommend them. We will hire them again in the future for more gatherings! Switchbeat played at my wedding last weekend and they were excellent! They kept the dance floor full the whole evening, and I got a ton of positive feedback from our guests. They were also super accommodating in helping us set up the sound for our ceremony. Highly recommended. My wife and I hired switchbeat as our wedding band in August of 2016, and were thrilled with their performance. I am a music lover, and had trouble finding a wedding band that met my expectations for a reasonable price. We ended up finding Switchbeat two months before our wedding. They put on a great show, sounded fantastic and had all of our friends dancing. We had lots of compliments from our guests on the band. Most of all, Jay and Switchbeat are true professionals, easy to work with, and very accommodating on your big day. If you want real musicians for your wedding, look no further. Switch beat is a great band! They played a verity of music! They were all really easy and great to work with. Music sounded amazing and everyone had a great time. Switchbeat was terrific for our corporate event. They went far above and beyond my expectations- everything from arriving early, playing requests, having a great playlist, being extremely professional and easy to deal with, and we booked with them last minute! They even reached out directly with the venue and coordinated everything, so I didn't have to worry about a thing. They sounded amazing, played appropriate music and got everyone dancing (which can be difficult @ corporate events). I will definitely book them again. WOW, what a night!!! Great band highly recommended. They can play an variety of music. Very impressive. Jay and team were awesome at our event!! I saw them perform at another venue and instantly knew they would be perfect for our upcoming function. Figuring out the details were fun and Jay was always very professional. 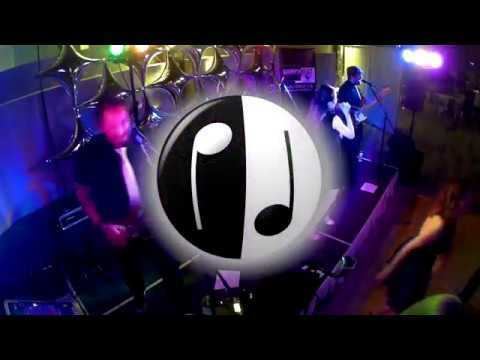 They were a hit and anyone looking for a live band will be extremely happy with Switchbeat. Their song selection rocks!! AMAZING, PROFESSIONAL, EXCELLENT TO WORK WITH AND FABULOUS MUSICIANS! WOW!!! Switchbeat completely made my husband's recent 50th birthday party! 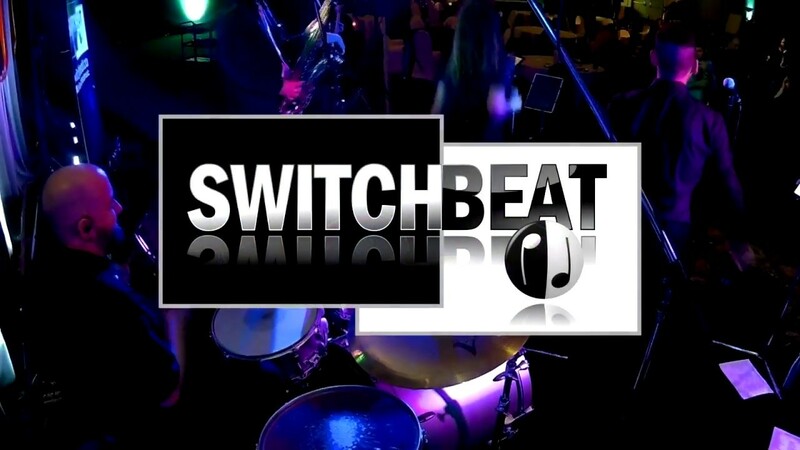 If you're looking for a fun party band with amazing vocals and spectacular guitar playing skills you book Switchbeat. Jay and I spoke a couple of times before the party to go over the playlist and the details and he showed up, as promised, 3 hours before my event to set up and do a sound check with the band. During the night they were so high energy and interacted well with the crowd. My guest list included people ages 10-60 and there was never a moment when our dance floor was empty. My guests are still raving about them. We had such a great time we asked the band to stay for an extra hour and they did without any hesitation even though it was a long drive home. I would book them again in a heartbeat. Switchbeat played at my 30th birthday party / charity event to raise money for an orphanage in Cambodia. They were absolutely amazing! Had everyone dancing all night and set a perfect upbeat, live tone for the evening! Very clear sound and beautiful voice. I managed to raise my target amount and I don't feel like I could of achieved it without an awesome band that everyone enjoyed! I would definitely recommend them for any large or small event and their music selection works for all ages. I have heard many bands before over the years and have even been a part of one myself for several years. It takes a lot of work to be able to really "mesh" together and create a great sound that your crowds loves and appreciates. It also takes chemistry and the ability to perform to keep your audience engaged and this band blew me away! Their sound was fantastic, they entertained, didn't require a large set up area and what I loved most was that they went from playing jazz for the first half of our event and then completely switched it up to the popular Top 40 and pop hits and transitioned so well! Versatility in bands can be very difficult to find and when you do, they usually sound better playing one genre over another. This was not the case, they sounded incredible throughout the entire evening. 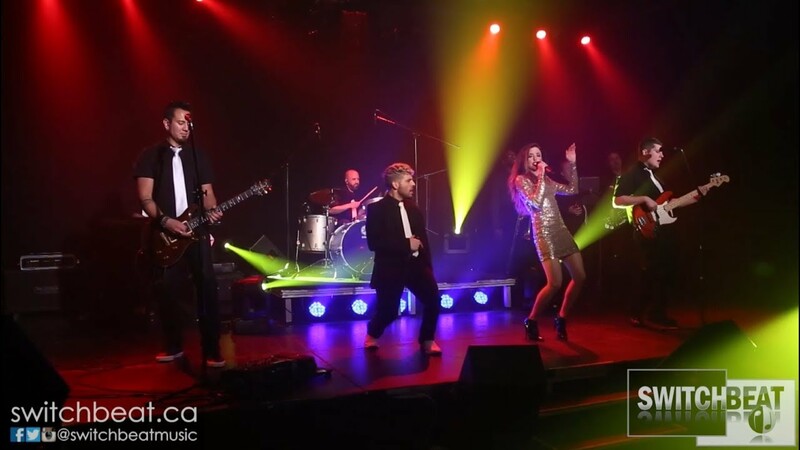 You can really sense the commitment they have to maintaining the atmosphere, they connect so well with the crowd and as a wedding planner, I would highly recommend this band for any wedding or corporate event. Thank you so much to Jay and his band mates for making our event Vintage Glam hosted by The Wedding Planner Magazine such an enjoyable time! 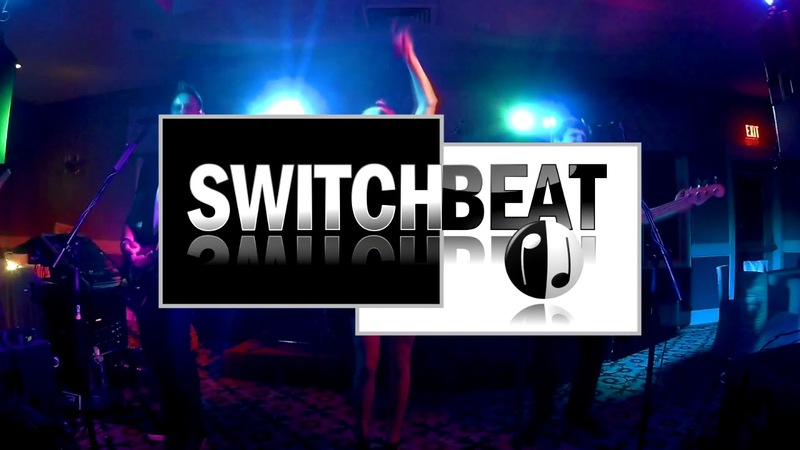 Switchbeat specializes in performing energetic, upbeat material, to encourage guests to get up and dance. 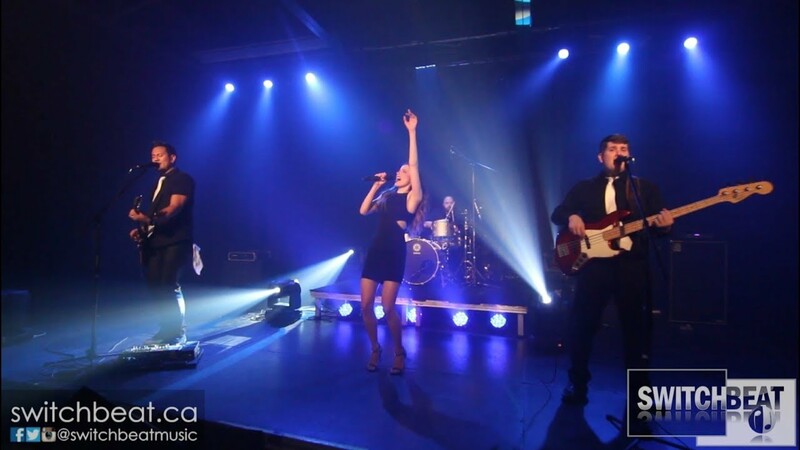 Our performance usually focusses on pop/r&b, ranging from timeless classics such as Michael Jackson and Earth Wind & Fire, to current artists such as Bruno Mars, Taylor Swift, and Maroon 5. However, we also include rock, funk, country, reggae, and more. Please view our song list for a more detailed impression of our repertoire. A typical Switchbeat performance at an event or wedding is 3 sets, 50 to 60 min each. This format is flexible depending on the client's needs. Another optional add-on is the Switchbeat Jazz Ensemble. One to four members of the band will perform low-volume instrumental jazz during cocktail hour. Whenever possible, the members of Switchbeat will arrive early in the afternoon of the engagement. We will do a complete setup and soundcheck before any guests arrive. Switchbeat is able to provide a complete sound system and stage lighting, appropriate for a group of up to 300-350 people. Our front-of-house system consists of two QSC K12 speakers (1000w each) and two QSC KW181 subwoofers (1000w each). 24'x12' or larger for our 8 or 9 piece band lineup. Stage must be completely stable and level. We also ask that we have 2'-3' of floor space around the stage for speaker stands, light stands, etc. We recommend the venue provides us with at least two dedicated 15amp circuits for our electrical power needs. Artist will not be held liable for any interruption or stoppage in electrical power causing interruption or stoppage of performance. If electrical power is provided by a generator, it is recommended that a single dedicated generator is provided for the Artist. Electrical power must be completely safe from surges. Client will be liable for any damages to Artist’s equipment as a result of power surges. If the band will be performing outdoors, the stage area must be covered with a roof or canopy. The covering must effectively protect the entire stage, and the ceiling must be at least 8 feet high so our speakers and light stands can be covered as well. The stage must be elevated to protect our equipment from potential rain puddles. If the client is contracting an AV company to provide sound system and lighting, we will provide an input list, stage plot, etc. to the sound technician.